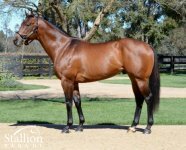 MANHATTAN RAIN 2 wins at 2, A$1,311,200, AJC Sires Produce S., Gr.1, Skyline S., Gr.3, 2d MVRC WS Cox P., Gr.1, AJC Canonbury S., L, STC Theslipper.com.au 2YO H., 3d STC Golden Slipper S., Gr.1, AJC Champagne S., Gr.1, MRC Caulfield Guineas, Gr.1, Caulfield Guineas Prelude, Gr.3. He entered stud in Aust. in 2010. Sire of 251 progeny to race, 149 winners (59.0%), earnings of over $17 million, 13 stakes winners, 12 stakes placegetters, inc.
SHE WILL REIGN (14f, Charge Forward, Marscay). Champion 2YO Filly in Australia in 2016-17.6 wins-4 at 2-to 1200m to 2017-18, A$3,206,900, ATC Golden Slipper S., Gr.1, MVRC AJ Moir S., Gr.1, ATC Silver Slipper S., Gr.2, Inglis Nursery, RL, Inglis Sprint, 2d ATC Reisling S., Gr.2. WHISKY BARON (12c, Sinndar, Kenmare). Champion Middle Distance Horse in South Africa in 2016-17.6 wins from 1200m to 2000m, £32,885, R3,436,828, 45,875Dhs, Kenilworth Sun Met H., Gr.1, Peninsula H., Gr.2, 2d Goodwood Celebration Mile, Gr.2, Kenilworth Winter Guineas, Gr.3, Winter Classic, Gr.3, Doncaster PJ Towey Construction H., 4th Meydan Zabeel Mile, Gr.2, Kenilworth Winter Derby, Gr.3. WILD RAIN (11f, Rory's Jester, Far North). 8 wins to 1100m, A$841,067, MVRC Ian McEwen S., Gr.2, MRC Sir John Monash S., Gr.3, City of Greater Dandenong S., L, SAJC Lightning S., L, MVRC Slickpix H., Pantry Packer H., SAJC Drink Driving? Grow Up H., 2d VRC GH Mumm S., Gr.3, MRC Sir John Monash S., Gr.3, VRC Dilmah Earl Grey S., L, GCTC Magic Millions Sprint, Ballarat TC Magic Millions 3 & 4YO Classic, 3d MVRC AJ Moir S., Gr.1, VRC Birdcage H.
MOONOVERMANHATTAN (11g, Flying Spur, Caerleon). 2 wins-1 at 2-at 1200m, 2050m, A$357,960, MVRC Dilmah Vase, Gr.2, SAJC National S., Gr.3, 2d MVRC Bill Stutt S., Gr.2, Kyneton Cup, Benalla Cup, 3d MRC Fight Cancer Foundation H., Ramlegh Springs on Clyde H., MVRC Sweeney Estate Agents H., 4th MRC Autumn S., Gr.2, VRC Living Legends S., L.
SCARLET RAIN (13f, Exceed and Excel, Brief Truce). 4 wins-3 at 2-to 1200m, A$341,375, ATC Sweet Embrace S., Gr.2, TAB More Than Winning 2YO P., Hyland Race Colours 2YO P., Theraces H., 2d ATC Spark of Life H.
JAMAICAN RAIN (12f, Redoute's Choice, Prospect Bay). 7 wins to 1500m to 2018-19, A$338,825, MRC Mannerism S., Gr.3, SCTC Glasshouse H., L, MVRC Goodlife Essendon H., SAJC Malcolm Morris H.
RUNAWAY (14r, Catrail, Pleasant Colony). 4 wins from 1550m to 2800m to 2018-19, A$522,785, Geelong Cup, Gr.3, VRC St Leger, L, ATC Ascot Restaurant H., 2d ATC Welcome Rydalmere CBC 2YO H., MRC Ladbrokes H., 3d South Australian Derby, Gr.1, MRC Jukebox at Aquisfarm H., 4th Cranbourne Cup, L.
INDIAN THUNDER (14g, Royal Academy, Bletchingly). 4 wins-1 at 2-to 1300m to 2018-19, A$197,495, SAJC Queen Adelaide S., L, Boxing Day Family Races H., 2d Bendigo JC RSN H., 3d MRC Le Pine Funerals H., Le Pine Finerals H.
MANHATTAN STREET (13g, Redoute's Choice, Stravinsky). 4 wins-3 at 2-at 1200m to 2017-18, NZ$105,050, Levin RC Ryder S., L, Marton JC Rural Fuel 2YO S., 2d Wanganui Guineas, L, WRC Hanley Formula Sprint H., Taranaki RC Revital Fertilisers H., 3d CJC Vaine Strickland H., Mongolian Falcon H., Marton JC Pilet Contracting H.
ONDINA (11f, Mujadil, Indian Ridge). 3 wins at 1350m, 1600m, A$106,460, SAJC Laelia S., L, ATC Michelle Dunn H., 3d ATC Cal Rei H.
MANAPINE (11g, Anabaa, Kris). 2 wins at 1400m, 2500m, A$131,190, VRC Galilee Series Final H., L, 2d MRC Splashland H.
CRAFTY (11f, Sadler's Wells, Habitat). 2 wins at 2, A$270,560, VRC Taj Rossi Series Final H., L, MRC Polytrack 2YO P., 2d MRC Caulfield Classic, Gr.3, 3d VRC Edward Manifold S., Gr.2. LET ME SLEEP ON IT (15f, Zizou, Flying Spur). Winner at 2 in 2017-18, A$123,330, MRC Redoute's Choice S., L, 2d MRC Ladbrokes 2YO H., 3d ATC Press Statement at Vinery H., 4th ATC Inglis Nursery, RL. Tango Rain (13g, Anabaa, Gone West). 3 wins-2 at 2-at 1100m, 1200m to 2017-18, A$263,075, ATC Martin King 70th Birthday 2YO H., ASX Thomson Reuters H., Tab.com.au 2YO P., 2d ATC San Domenico S., Gr.3, Rosehill Bowling Club H., Fugen H., Half Yearly Membership H., 3d ATC Snitzel H., Tab.com.au H.
Boundary (11f, Danehill, Valid Appeal). 3 wins to 1400m, A$153,160, VRC Nouvelle Star H., 2d TTC Vamos S., Gr.3, Ballarat TC Magic Millions 3YO Classic, MRC Grand Hotel Frankston H., 3d MRC Steve Wilby Transport H.
Man of Choice (12g, Redoute's Choice, Casual Lies). 2 wins-1 at 2-at 1200m, 1600m, A$206,480, 2d ATC Phar Lap S., Gr.2, BRC Jll Proptech P., Hawkesbury RC Fishboy Seafoods H., 3d ATC Spring Champion S., Gr.1, Gloaming S., Gr.3, Structaflor Yellowtongue P., Schweppes H., Sensis Dash H.
Promise to Reign (12f, El Prado, Rainbow Quest). Winner at 1600m, NZ$122,200, 2d Waikato RC Sir Tristram Fillies Classic, Gr.2, ARC Sunline Vase, Gr.3, Waikato Cup, Gr.3, Counties RC HR Fisken & Sons Ltd H., 3d WRC Trentham S., Gr.3, Counties Cup, Gr.3, ARC South Auckland Racing Club Cup, Hawkes Bay Hastings H.
Manhattan Avenue (11g, Danzero, Bellotto). Winner at 1500m, A$124,620, 2d VRC Poseidon S., L, MRC Gothic S., L, Thanks Bellajinsky H., 3d VRC Carbine Club S., Gr.3, MRC PFD Food Services H.
Light Up Manhattan (11c, Zabeel, Noble Bijou). Winner at 1600m, A$220,425, 2d VRC Anzac Day S., L, 3d Victoria Derby, Gr.1, VRC UCI S., L, SAJC Oaklands P., L, 4th MRC Caulfield Classic, Gr.3. Right Or Wrong (11g, Flying Spur, Rory's Jester). 5 wins from 1200m to 1650m, A$263,800, BRC Height 4 Hire H., Mullins Lawyers H., SCTC Coastline BMW 2 Series H., Ipswich TC Ramsay Plumbing & Drainage Pty Ltd H., 2d Qld Tatt's RC Daybreak Lover S., L, Darwin TC Northern Territory Derby, ATC E Group Security H., Snitzel H., 3d Qld Tatt's RC Members' Cup, L, BRC BMAG Teddy Bears Picnic H., 4th Sunshine Coast Guineas, Gr.3. 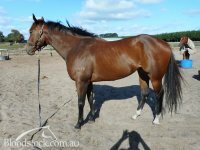 Speeding Comet (13g, Hussonet, Danehill). 4 wins-1 at 2-to 1200m to 2018-19, A$227,410, WATC Perth Cup at Ascot Raceday 2YO P., Perth Racing Amelia Park Wines H., WATC Salinger H., 2d WATC Amelia Park 2YO P., Schweppes P., Pinjarra RC Bunbury Apartment Motel P., WATC Commit to Change H., Belmont-City of Opportunity H., Perth Racing MJ Defrancesch H., 3d WATC Perth S., L, Penfolds P., Perth Racing Tabtouch-Better Your Bet H., WATC D'Orsogna H., 4th WATC Sires' Produce S., Gr.3. Chengdu (11g, Red Ransom, Ideal Planet). 4 wins to 1250m to 2018-19, A$107,085, 2d WATC Perth S., L.
Gibraltar Girl (13f, Rock of Gibraltar, Khozaam). 3 wins at 1100m, 1200m, A$212,805, ATC Ranvet's Neutrolene H., Schweppervescence H., Le Wrap H., 2d ATC Ascend Sales Trophies H., 3d BRC Mode P., L, ATC Primo H., 4th ATC Triscay S., Gr.3. Manhattan Blues (12g, Tale of the Cat, Star Way). 3 wins-1 at 2-at 1000m, 1250m, A$217,540, SAJC Schweppes 2YO P., Projection Graphics H., Bendigo JC Mittys Sprint H., 2d MRC Inglis 2YO Premier, RL, November Relaunch H., 3d SAJC Stamford Hotels H., MRC Movenpick Racedayicecream H., MVRC Telstra Phonewords H., 4th MRC Blue Diamond S., Gr.1. Lim's Magic (13g, Danehill Dancer, Star Way). 2 wins at 1400m, S$283,200, Singapore TC Cheyenne Dancer S., Stepitup S., 2d Singapore TC Class H., 3d Singapore TC Stewards' Cup, L, Singapore Derby, L, 4th Singapore TC Moonbeam Vase, L.
Central Station (11g, Street Cry, Citidancer). 7 wins at 1050m, 1350m, Macau Sand Champion Series Leg 1 H., Blackpool H., Calgary H., 3d Macau Gulfstream H., Admiralty H.
Uptown Lad (13g, Fusaichi Pegasus, Danehill). 6 wins to 1400m to 2017-18, A$285,085, Hawkesbury RC Polytrack Provincial Championship Qualifier, ATC Owners Benefit Card H., Tab.com.au H., 2d ATC McGrath Estate Agents H., Keith McCabe Memorial H.
Mr Manhattan (11g, Elusive Quality, Danzero). 6 wins to 1250m, A$235,900, ATC Tab.com.au H., Theraces H., Canterbury League Club H., More Than Ready at Vinery H., Schweppes H., 2d ATC Tab.com.au H., 3d ATC TAB Rewards H.
Aragorn (13g, French Deputy, Barathea). 5 wins to 1400m, A$1,175, 310,879Rgt., Selangor TC Malaysia 3YO Championship Final, Penang TC Cosmo A S., 3d Penang TC Malaysia 3YO Championship II. Inspired Estelle (13f, Stravinsky, Zabeel). 4 wins-1 at 2-at 1200m, 1300m to 2017-18, A$153,685, MRC Ladbrokes.com.au 2YO Fillies H., BRC Blokes Day Out Raceday H., Channel 7 H., Weddings P., 3d BRC Harding Steel P., MRC Ladbrokes Info Hub H., 4th MRC Angus Armanasco S., Gr.2, Kevin Hayes S., Gr.3. ENCOSTA DE LAGO (AUS) (Bay 1993-Stud 1997). 3 wins to 1600m, VATC VicHealth Cup, Gr.1. Champion Aust. Sire twice. Sire of 1629 rnrs, 1151 wnrs, 115 SW, inc. Chautauqua (ATC TJ Smith S., Gr.1), Princess Coup, Lashed, Puccini, Road to Rock, Racing to Win, Alinghi, Sacred Kingdom, English, Mnemosyne, Delago Deluxe, Costa Viva, Sirmione, Smokin' Joey, Titanic Jack, Vanbrugh, Aloha, Newport, Delago Brom, Manhattan Rain, Northern Meteor, Apercu, etc. PLATINUM SCISSORS (c by Danehill (USA)) 5 wins from 1400m to 2000m, A$982,800, AJC Spring Champion S., Gr.1, MRC Norman Robinson S., Gr.2, GCTC AD Hollindale S., Gr.2, Newcastle JC Newmarket H., L, AJC Eastlakes H., 2d BTC Doomben Cup, Gr.1, NSW Tatt's RC Chelmsford S., Gr.2-twice, STC Tulloch S., Gr.2, Hill S., Gr.2, Gloaming S., Gr.2, BTC Labour Day Cup, Gr.3, 4th AJC George Main S., Gr.1, STC George Ryder S., Gr.1, MRC Yalumba S., Gr.1, QTC PJ O'Shea S., Gr.2, STC Phar Lap S., Gr.2. Sire. REDOUTE'S CHOICE (c by Danehill (USA)) Champion 3YO Miler in Australia in 1999-2000. Joint Champion 3YO in Aust/NZ in 1999-2000. 5 wins-2 at 2-from 1100m to 1600m, A$1,567,850, VATC Blue Diamond S., Gr.1, Caulfield Guineas, Gr.1, CF Orr S., Gr.1, MVRC Manikato S., Gr.1, VATC Veuve Clicquot S., L, 2d MVRC Australia S., Gr.1, 3d VATC Futurity S., Gr.1, Vic Health Cup, Gr.1, 4th VRC Ascot Vale S., Gr.2. Champion sire. MANHATTAN RAIN (c by Encosta de Lago) 2 wins. See below. Rex is a Star (f Encosta de Lago) Winner at 2, ATC Bowermans Office Furniture 2YO H., 2d ATC Universal Prince 2YO P.
ECHOES OF HEAVEN (c by Encosta de Lago) 3 wins-1 at 2-from 1400m to 1800m, A$154,725, SAJC Port Adelaide Guineas, L, 2d South Australian Derby, Gr.1, 3d SAJC Chairman's S., Gr.3. Sire. Superior Sateen (c by Danehill (USA)) 2 wins at 1100m, 1500m, STC Vodka Cruiser H., Clubs NSW H., 3d AJC Dulcify H., L, National Telecoms Group 2YO H., Lexus ES300 2YO H. Sire. Star of Monsoon (g Lonhro) 3 wins at 1100m, 1200m, A$268,775, in 2017-18, ATC TAB Rewards H., 2d City Tatt's RC Brian Crowley S., L, ATC West Tradies CFMEU H., Shooting Star H., Casino Prince at Vinery 2YO H., Tab.com.au H., First Adelaide Yearlings H., Scone RC Pages P., 3d ATC Bradford Black H., Thanks Owners H., Mostyn Copper Group H., Independent Education P., Tab.com.au P.-twice, 4th ATC Canonbury S., Gr.3. Climatic (f Fusaichi Pegasus) 2 wins at 1350m, 1400m, SAJC Last Day Cheltenham H., 3d SAJC Laelia S., L, Veolia P. Producer. Quench the Thirst (f Encosta de Lago) Winner at 1600m, 2d SAJC Hill Smith S., L. Producer. Summer Monsoon (g Stratum) 2 wins-1 at 2-at 1000m, 1250m to 2018-19, Waikato RC Skycity Waikato Cup 2YO S., 2d Matamata RC Slipper S., L.
Crystal Flute (f Encosta de Lago) 2 wins at 1300m, 1600m, ATC McGrath Estate Agents H., 2d ATC Pro-Ride H., St George Motor Boat Club H., 3d ATC TAB Rewards P.
Choice Song (c by Unbridled's Song (USA)) 3 wins at 1400m, 1500m in Aust. Taste of Heaven (f by Encosta de Lago) Winner at 1300m in Aust. Lady Cartier. Winner at 1400m in 2017-18, 3d MRC (Mornington) Annie Ammitzboll P.
Noela's Choice. 5 wins from 1000m to 1600m, A$183,855, ATC TAB Place Multi H., MVRC Adapt Australia H., MRC Grand Hotel Frankston H., 2d MRC Eastcoast Plumbing Group Lakes Entrance H.
Mujaadil - Glasgow (Sing.). 3 wins at 1400m, 1600m to 2019, Singapore TC Kranji S., Class 4 H., 2d MRC Dream Thoroughbreds P., Moorookyle Park P., Singapore TC Class 4 H., 3d Singapore TC Better Life S.
World Thoroughbred Ranking: 116 (in 2009). ENCOSTA DE LAGO 3 wins from 1200m to 1600m, A$469,850, VATC Vic Health Cup, Gr.1, VRC Ascot Vale S., Gr.2, MVRC Bill Stutt S., Gr.2, 3d VATC Caulfield Guineas, Gr.1, VRC Maribyrnong P., Gr.2, VATC Debutant S., L. He entered stud in Aust. in 1997. Champion Aust. Sire in 2007-08, 2008-09, second in 2003-04, 2005-06, 2006-07, 2009-10. Leading Aust. Sire (worldwide earnings) in 2010-11. Leading NZ Sire of 3YOs in 2013-14. Champion HK Sire in 2011-12. Champion Aust. Sire of Broodmares in 2015-16, 2016-17, 2017-18. 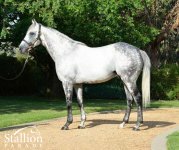 Sire of 1629 progeny to race, 1151 winners (70.0%), earnings of over $182 million, 115 stakes winners, 118 stakes placegetters, inc.
CHAUTAUQUA (10g, Lion Hunter, Vice Regal). Joint Head of the 2016 WTR (Sprint). Equal Leading Older Male on 2017 WTR (Sprint). Champion Sprinter in Australia in 2015-16 & 2016-17.13 wins to 1400m, A$7,795,750, HK$5,700,000, ATC TJ Smith S., Gr.1-3 times, VRC Lightning S., Gr.1, MVRC Manikato S., Gr.1, HKJC Chairman's Sprint Prize, Gr.1, VRC Gilgai S., Gr.2-twice, MRC Rubiton S., Gr.2, MVRC Ian McEwen S., Gr.2, VRC Bobbie Lewis H., Gr.3, Hawkesbury Guineas, Gr.3, 2d VRC Newmarket H., Gr.1, Darley Classic, Gr.1-twice, ATC Canterbury S., Gr.1, Gosford Guineas, L, 3d VRC Newmarket H., Gr.1, ATC George Ryder S., Gr.1, All Aged S., Gr.1, MRC Rubiton S., Gr.2, 4th VRC Darley Classic, Gr.1, MVRC AJ Moir S., Gr.1. RACING TO WIN (02g, Kenny's Best Pal, Kenmare). 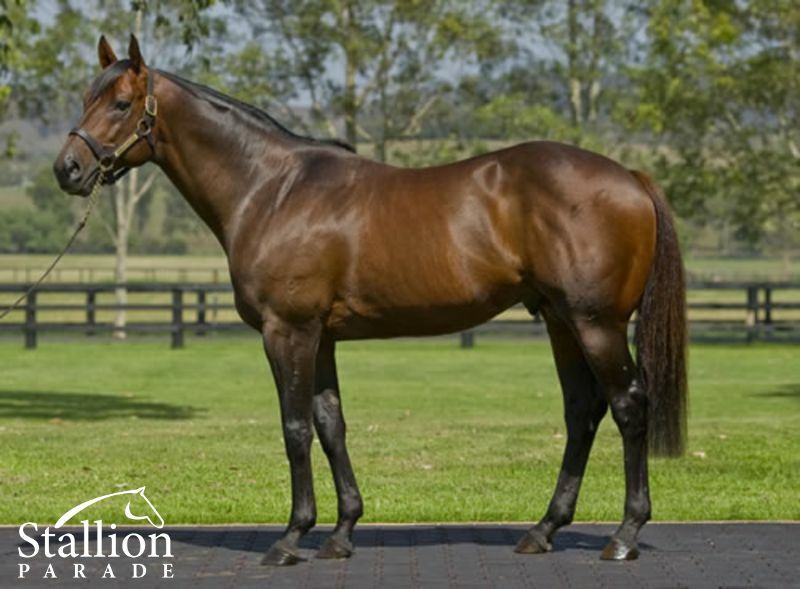 Champion 3YO in Australia in 2006.13 wins-3 at 2-from 1100m to 1600m, A$3,762,285, AJC Doncaster H., Gr.1, Epsom H., Gr.1, George Main S., Gr.1, All Aged S., Gr.1, STC George Ryder S., Gr.1, AJC Warwick S., Gr.2, STC Apollo S., Gr.2, Theo Marks S., Gr.2-twice, Hobartville S., Gr.2, AJC Emirates Airlines 2YO H., STC PJ Gallagher's Parramatta H., Nivea Visage 2YO H., 2d BTC Doomben Cup, Gr.1, STC George Ryder S., Gr.1, AJC Warwick S., Gr.2, Royal Sovereign S., Gr.2, STC Phar Lap S., Gr.2, Canterbury S., Gr.2, Golden Rose S., L, 4th VRC LKS Mackinnon S., Gr.1, AJC Warwick S., Gr.2. ALINGHI (01f, Monde Bleu, Shirley Heights). Champion 3YO filly in Australia in 2004-05.11 wins-4 at 2-from 900m to 1700m, US$69,780, A$3,470,325, VRC Newmarket H., Gr.1, MRC Blue Diamond S., Gr.1, Thousand Guineas, Gr.1, SAJC Swettenham Stud S., Gr.1, VRC Ascot Vale S., Gr.2, Edward Manifold S., Gr.2, STC Reisling Slipper Trial S., Gr.2, Saratoga Ballston Spa H., Gr.3, MRC Blue Diamond Prelude (f), Gr.3, Quezette S., L, Debutante S., L, 2d VRC Lightning S., Gr.1, Empire Rose S., Gr.1, AJC Heroic 2YO Championship S., 3d STC Golden Slipper S., Gr.1, MRC Invitation S., Gr.1, 4th AJC TJ Smith S., Gr.1. PRINCESS COUP (03f, Sovereign Red, Arch Sculptor). Champion 3YO Filly in NZ in 2006-07. Champion Older Female & Stayer in NZ in 2007-08. 2007 NZ Bloodstock Filly of the Year.12 wins-1 at 2-from 1100m to 2400m, NZ$2,948,150, A$1,134,000, Hawkes Bay Kelt Capital S., Gr.1-twice, Stoney Bridge S., Gr.1, New Zealand Oaks, Gr.1, MRC St George S., Gr.2, WRC Desert Gold S., Gr.3, Masterton RC Lowland S., Gr.3, Banks Peninsula RC Canterbury S., L, Ashburton RC Ray Coupland S., L, Manawatu RC New Zealand Bloodstock 2YO H., CJC First Sovereign Trust 3YO S., 2d STC BMW S., Gr.1, VRC Australian Cup, Gr.1, LKS Mackinnon S., Gr.1, STC Ranvet S., Gr.1, New Zealand One Thousand Guineas, Gr.1, ARC Eight Carat Classic, Gr.2, Waikato RC Sir Tristram Fillies Classic, Gr.2, 3d MRC Caulfield Cup, Gr.1, Hawkes Bay Stoney Bridge S., Gr.1, New Zealand Two Thousand Guineas, Gr.1, 4th MRC CF Orr S., Gr.1. LASHED (99f, Salieri, Boucher). Champion WFA performer & Female Stayer in NZ in 2003-04. 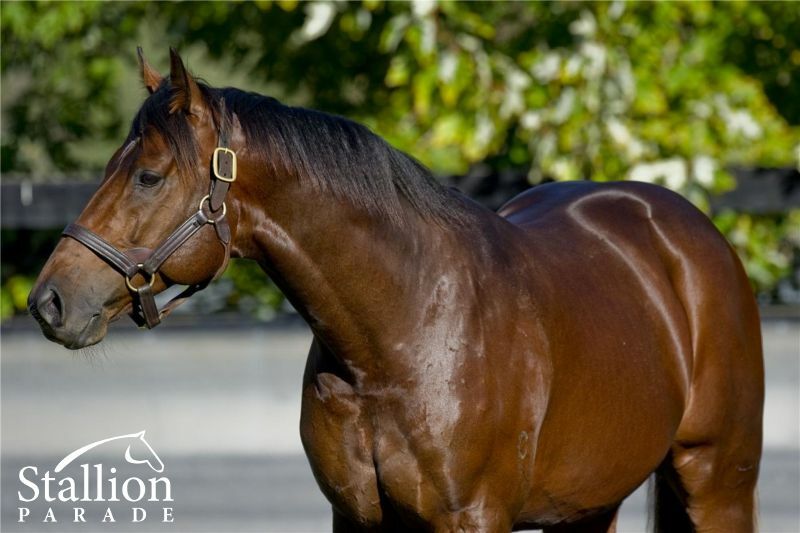 Champion Older Female in NZ in 2004-05 (Intermediate).7 wins-3 at 2-from 1300m to 2000m, NZ$298,750, A$711,240, ARC Zabeel Classic, Gr.1, New Zealand S., Gr.1, Waikato RC International S., Gr.1, VRC AV Kewney S., Gr.2, SAJC Sires' Produce S., Gr.3, Alcohol Go-Easy S., L, MRC March 2YO Fillies H., 2d VRC Oaks, Gr.1, MRC Angus Armanasco S., Gr.2, Moonee Valley Oaks, Gr.2, VRC Vanity S., Gr.3, MRC Out of Danger 2YO H., 3d ARC Zabeel Classic, Gr.1, New Zealand S., Gr.1, WRC Thorndon Mile, Gr.1, Waikato RC International S., Gr.1, VRC Wakeful S., Gr.2, Edward Manifold S., Gr.2, MRC Tranquil Star S., Gr.3, 4th MRC Thousand Guineas, Gr.1, WRC Thorndon Mile, Gr.1, Hawkes Bay Stoney Bridge S., Gr.2. SACRED KINGDOM (03g, Zeditave, Sir Tristram). Horse of the Year in Hong Kong in 2010. Champion Sprinter in Hong Kong in 2008, 2009, 2010 & 2011.17 wins at 1000m, 1200m, £13,194, S$522,000, HK$42,607,900, Cathay Pacific Hong Kong Sprint, Gr.1-twice, HKJC Chairman's Sprint Prize, L-twice, Kent & Curwen Centenary Sprint Cup, L-twice, GOME Sprint, L-twice, Cathay Pacific International Sprint Trial, L, 1200m-in track record time, Sha Tin Sprint Trophy, L-twice, Singapore TC Krisflyer International Sprint, L, HKJC Arsenal H., Arculli Trophy H., Lantau Peak H., HKU Alumni Association Challenge Cup, Granville H., 2d HKJC Centenary Sprint Cup, L, Queen's Silver Jubilee Cup, L, Chairman's Sprint Prize, L, Sprint Cup, L, Cathay Pacific International Sprint Trial, L, Sha Tin Sprint Trophy, L, Chow Tai Fook Bauhinia Sprint H., L, 3d Cathay Pacific Hong Kong Sprint, Gr.1, HKJC Chairman's Sprint Prize, L, 4th HKJC Centenary Sprint Cup, L, Sha Tin Vase, L.
PUCCINI (10c, Paris Opera, Sir Godfrey). Champion 3YO in NZ in 2013-14. Top on The 2013-14 NZ 3YO Free H (1600m+).8 wins from 1600m to 2400m, NZ$920,175, A$242,000, New Zealand Derby, Gr.1, WRC Thorndon Mile, Gr.1, ARC Great Northern Guineas, Gr.2, Avondale Guineas, Gr.2, Waikato Guineas, Gr.2, WRC Thompson H., Gr.3, Marton JC Metric Mile, Gr.3, 2d WRC Captain Cook S., Gr.1, MRC Eclipse S., Gr.3, BRC Premier's Cup, Gr.3, SAJC Lord Reims S., Gr.3, Pakenham Cup, L, 3d ARC Rich Hill Mile, Gr.2, VRC TAB Rewards S., Gr.3, ARC Champagne S., L, 4th WRC Levin Classic, Gr.1, New Zealand Two Thousand Guineas, Gr.1, MRC Easter Cup, Gr.3, Bendigo JC Yalumba Golden Mile, L, Mornington Cup, L, Ballarat Cup, L, Ipswich Cup, L.
ENGLISH (12f, Anabaa, Zeditave). Champion 2YO Filly & 3YO Filly in Australia in 2014-15 & 2015-16. Champion Female Sprinter in Australia in 2016-17.6 wins-2 at 2-to 1400m to 2017-18, A$3,480,071, ATC All Aged S., Gr.1, BRC Doomben Ten Thousand S., Gr.1, ATC Challenge S., Gr.2-twice, Reisling S., Gr.2, 2d ATC Golden Slipper S., Gr.1, TJ Smith S., Gr.1, Galaxy H., Gr.1, Premiere S., Gr.2, 3d ATC TJ Smith S., Gr.1, 4th BRC Kingsford-Smith Cup, Gr.1, ATC Premiere S., Gr.2, Shorts H., Gr.2. MNEMOSYNE (02f, Canny Lad, Whiskey Road). Joint top filly on The 2005-06 Australasian 3YO Classification.6 wins-1 at 2-from 1100m to 1600m, A$1,371,975, MRC Thousand Guineas, Gr.1, STC Queen of the Turf S., Gr.1, Tea Rose S., Gr.2, NSW Tatt's RC Furious S., Gr.2, AJC Silver Shadow S., Gr.3, STC Bradley Photographers 2YO H., 2d AJC Sires' Produce S., Gr.1, Surround S., Gr.2, STC Reisling Slipper Trial S., Gr.2, AJC Kindergarten S., Gr.3, 3d AJC Flight S., Gr.1, STC Coolmore Classic, Gr.1, 4th STC Golden Slipper S., Gr.1, AJC George Main S., Gr.1, Light Fingers S., Gr.2. DELAGO DELUXE (08c, Flying Spur, Success Express). 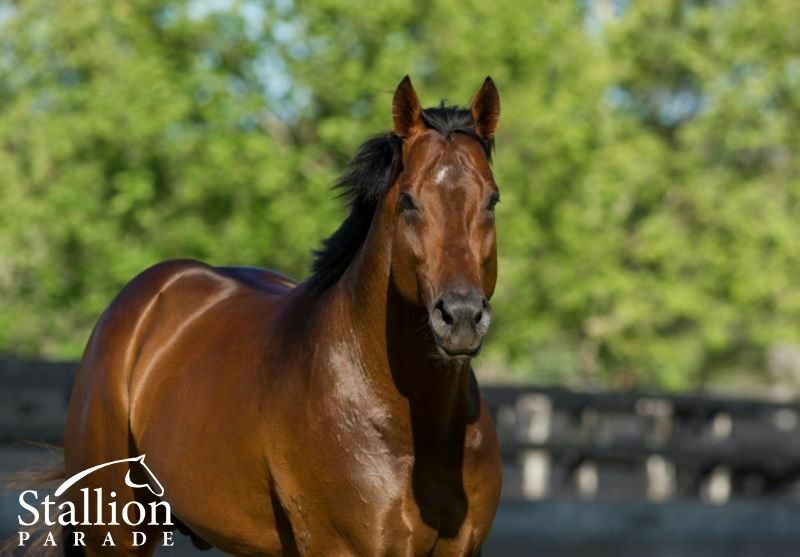 Champion 2YO Colt in South Africa in 2010-11.7 wins-4 at 2-to 1200m, R1,498,525, Scottsville Gold Medallion S., Gr.1, Golden Horse Casino Sprint, Gr.1, Turffontein South African Nursery P., Gr.2, Protea S., Gr.3, Kenilworth Need for Speed Sprint, Clairwood UK Soccer 4 S., 2d Clairwood Mercury Sprint, Gr.1, 3d Kenilworth Merchants S., Gr.2, Cape Classic, Gr.3, Clairwood Powertrans H.
ROAD TO ROCK (04c, Midyan, Welsh Saint). 6 wins from 1500m to 2000m, A$1,236,650, AJC Queen Elizabeth S., Gr.1, George Main S., Gr.1, Carbine Club H., L, MRC Victoria Gold Cup, L, VRC Chris Isaak H., MVRC Independent Cranes H., 2d AJC Doncaster H., Gr.1, GCTC AD Hollindale S., Gr.2, MRC TS Carlyon Cup, Gr.3, VRC Antler Luggage H., AJC Randwick H., Rajah Sahib H., MVRC Honan Insurance Brokers H., STC Nisea Visage P., Jacob's Creek Sparkling H., 3d AJC Epsom H., Gr.1, 4th BRC Doomben Cup, Gr.1, MRC Sandown Classic, Gr.2, STC Canterbury S., Gr.2. SIRMIONE (03g, Defensive Play, Danzatore). 4 wins-1 at 2-from 1400m to 2100m, A$1,894,375, VRC LKS Mackinnon S., Gr.1, Australian Cup, Gr.1, QTC Grand Prix S., Gr.3, Qld Tatt's RC Australia Post Tattersalls S., L, 2d VRC Australian Cup, Gr.1, MRC St George S., Gr.2, Fat Quaddies H., 3d STC BMW S., Gr.1, VRC LKS Mackinnon S., Gr.1, MRC CF Orr S., Gr.1, Queensland Derby, Gr.1, BTC Doomben Classic, Gr.3, VRC Bulban 2YO H.
SMOKIN' JOEY (07g, Blazing Sword, Taj Rossi). 9 wins-1 at 2-from 1200m to 1600m, A$1,495,433, SAJC Goodwood H., Gr.1, VRC Tab.com.au S., Gr.3, MRC TS Carlyon Cup, Gr.3, Bletchingly S., Gr.3, Victoria H., Gr.3, VRC March S., L, MRC Blue Sapphire S., L, Ipswich TC Eye Liner S., L, MRC Sportingbet H., 2d VRC Emirates S., Gr.1, MRC Futurity S., Gr.1, ATC Sebring S., Gr.3, BRC Ambassador Travel H., MRC Carsales.com.au H., MVRC Sportingbet Premium H., MRC Sportingbet H., 3d VRC Macaulay H., 4th WATC Railway S., Gr.1, Kingston Town Classic, Gr.1, VRC Danehill S., Gr.2, Blamey S., Gr.2, BRC Sires' Produce S., Gr.2, Queensland Guineas, Gr.2, MVRC Australia S., Gr.2, MRC Thoroughbred Club Cup, L.
TITANIC JACK (99g, Stage Door Johnny, T. V. Commercial). 8 wins-3 at 2-from 1000m to 1600m, A$1,288,950, VRC Emirates S., Gr.1, MVRC Alister Clark S., Gr.2, VRC Bobbie Lewis H., Gr.3, MRC Autumn S., Gr.3, Sandown S., Gr.3, VRC Murray Cox 2YO H., MVRC Sport 927 2YO H., Carlton Draught 2YO H., 2d VRC Newmarket H., Gr.1, MRC Guineas Prelude, Gr.3, Zeditave S., L, 3d MRC Invitation S., Gr.1, VRC Ascot Vale S., Gr.2, MVRC Ian McEwen Trophy, Gr.3, 4th MRC Toorak H., Gr.1, MVRC Mitchell McKenzie S., L.
NEWPORT (02g, Nishapour, Rheffic). 9 wins from 1200m to 2400m, A$1,248,100, AJC Metropolitan H., Gr.1, QTC Brisbane Cup, Gr.2, AJC Randwick City S., Gr.3, Navy Seal Welter H., STC BP Woodward & Associates Stayers Cup, VRC TCL Electronics P., AJC CVD Ladies Bowling Club H., 2d STC WJ McKell Cup, L, Rosehill Gardens Event Centre H., Konica Minolta H., 3d BRC Eagle Farm Cup, Gr.2, STC Frank Underwood Cup, L, Inghams Love'em H., MRC Ladies' Day P.H., 4th BRC Brisbane Cup, Gr.2, AJC Japan Racing Association P., L, Carbine Club S., L.
ALOHA (06f, Danehill, Bletchingly). 8 wins from 1200m to 1750m, A$804,974, ATC Coolmore Classic, Gr.1, VRC PFD Food Services S., Gr.3, MRC Lord S., L, VRC Aktrapid Nursing Agency H., MVRC Nye at MVRC H., VRC Better Draw H., MRC Yalumba H., Thomas Moule H., 2d VRC Henry Bucks S., L, MRC Kevin Hayes S., L, MVRC TEAC Flashback P., 3d Moonee Valley Fillies Classic, Gr.2, SAJC Adelaide Guineas, L, 4th ATC George Ryder S., Gr.1, SAJC Schweppes Oaks, Gr.1. VANBRUGH (12c, Lucky Owners, Centaine). 5 wins-1 at 2-from 1200m to 2000m, A$742,375, ATC Spring Champion S., Gr.1, Gloaming S., Gr.3, MRC Coongy H., Gr.3, ATC All Too Hard at Vinery H., Employee Long Service Celebration 2YO P., 2d ATC McGrath Estate Agents 2YO H., TAB Rewards H., 4th ATC Rosehill Guineas, Gr.1, George Main S., Gr.1, Hawkesbury Gold Cup, Gr.3. DELAGO BROM (99c, El Qahira, Sir Godfrey). 4 wins-1 at 2-from 1000m to 1600m, A$888,500, VRC Australian Guineas, Gr.1, Carbine Club S., Gr.3, MRC Vain S., L, Rancher 2YO P., 2d VRC Sires' Produce S., Gr.1, Debonair S., Gr.3, 4th MRC Blue Diamond S., Gr.1. QUAY LAGO - ULTRA FANTASY (H.K.) (02g, Sir Ivor, Protanto). 9 wins at 1000m, 1200m, A$43,650, HK$8,712,750, 98,402,000¥, Nakayama Sprinters S., Gr.1, HKJC Sprint Cup, L, Daffodil H., Cheung Shan H., Lantau Peak H., Tai O H., Lantau Island H., Cedar H., 2d HKJC Kent & Curwen Centenary Sprint Cup, L, MVRC Godings Kubota H., HKJC Big Wave Bay H., Kai Yip H., Cheung Sha H., Atlanta H., East Point H., Po Leung Kuk Centenary Cup H., 3d VRC John West the Best S., L, MRC Beechcraft H., Hong Kong Jockey Club Community Trophy H., HKJC Fujian H., Amah Rock H., 4th HKJC Chairman's Sprint Prize, L.
DOURO VALLEY (01g, Lord Seymour, Noalcoholic). 8 wins from 1400m to 2100m, A$1,230,090, MRC Yalumba S., Gr.1, Naturalism S., L, Diatribe H., So Called H., Tatura Cup, 2d MRC Caulfield Cup, Gr.1, South Australian Derby, Gr.1, MRC Sandown Classic, Gr.2, Eclipse S., Gr.3, Easter Cup, Gr.3, VRC Chubb S., L, Warrnambool Cup, 3d MRC St George S., Gr.2, VRC Decjuba P., Dalray H., MRC Mick Bolch H., Wimmera RC China Bowl, Ballarat TC Gold Nugget H., 4th VRC Australian Cup, Gr.1, Turnbull S., Gr.1, BTC Premier's Cup, Gr.3, MRC Coongy H., Gr.3, VRC Auckland Racing Club Metric Mile H., L.
SHADOWAYS (02g, Pride of Place, Bletchingly). 6 wins-2 at 2-to 1200m, A$692,275, SAJC Goodwood H., Gr.1, MRC Heath S., L, MVRC Inglis H., MRC Kilshery H., Drawn 2YO H., 2d VRC Salinger S., Gr.1, Gilgai S., Gr.2, Gilgai S., Gr.3, 3d MRC Geoffrey Bellmaine 2YO H., 4th MVRC Manikato S., Gr.1-twice, MRC Oakleigh P., Gr.1, Caulfield Sprint H., Gr.2, VRC Standish H., Gr.3. COSTA VIVA (10f, Bel Esprit, Snippets). New Zealand Bloodstock Filly of the Year in 2013-14.3 wins from 1200m to 1600m, NZ$266,685, A$5,000, New Zealand One Thousand Guineas, Gr.1, Ashburton RC Ray Coupland S., L, 2d ARC Eight Carat Classic, Gr.2, Hawkes Bay Gold Trail S., Gr.3, Te Aroha JC Team Wealleans H., 3d WRC Desert Gold S., Gr.3, 4th Gold Coast Guineas, Gr.3, Hawkes Bay City of Napier Sprint H., L.
NORTHERN METEOR (05c, Fappiano, Forli). 3 wins at 1200m, 1250m, A$532,480, VRC Coolmore Stud S., Gr.1, City Tatt's RC Brian Crowley S., L, 1200m-in track record time, STC Grand Pavilion H., 1250m-in track record time, 2d AJC TJ Smith S., Gr.1, 3d STC SLE H., 4th VRC Newmarket H., Gr.1. MANHATTAN RAIN (06c, Canny Lad, Nijinsky). 2 wins at 2, A$1,311,200, AJC Sires Produce S., Gr.1, Skyline S., Gr.3, 2d MVRC WS Cox P., Gr.1, AJC Canonbury S., L, STC Theslipper.com.au 2YO H., 3d STC Golden Slipper S., Gr.1, AJC Champagne S., Gr.1, MRC Caulfield Guineas, Gr.1, Caulfield Guineas Prelude, Gr.3. APERCU (04f, Zabeel, Scottish Rifle). 2 wins at 2, A$414,225, QTC TJ Smith Classic, Gr.1, BTC Golden S., L, 2d City Tatt's RC Omega 2YO P., 3d AJC La Caissiere 2YO H., 4th VRC Ottawa S., L, Ipswich TC Gai Waterhouse Classic, L.
MAC DE LAGO (11c, Vettori, Polish Patriot). 4 wins from 1150m to 1800m to 2017-18, R1,849,475, Greyville Gold Challenge, Gr.1, Kenilworth Silver Mountain H., Turffontein Thank You for Joining Us Today H., 2d Greyville KRA Guineas, Gr.2, Kenilworth Tab Telebet H., 3d Greyville Durban July H., Gr.1, Kenilworth Jet Master S., L, 4th Turffontein Champions Challenge, Gr.1, Charity Mile, Gr.2, Colorado King S., Gr.2, London News S., Gr.3. MISS ROSE DE LAGO (10f, Fasliyev, Desert Prince). 9 wins from 1200m to 1800m, A$941,140, MVRC Sunline S., Gr.2, MRC PB Lawrence S., Gr.2, WATC Champion Fillies S., Gr.3, MRC Ladies Day Vase, Gr.3, WATC Burgess Queen S., L, MRC PFD Fresh to Go H., Champagne Pommery Masters H., WATC Tabtouch With Cash H., Westspeed H., 2d Western Australian Guineas, Gr.2, WATC Northerly S., Gr.3, MRC Mannerism S., Gr.3, VRC Leilani Series Heat H., WATC Irish Day at Belmont Park H., 3d MVRC WH Stocks S., Gr.2, VRC Schweppervescence Trophy, Gr.3, MRC Mannerism S., Gr.3, MVRC Typhoon Tracy S., Gr.3, WATC Jungle Dawn Classic, L, 4th VRC Let's Elope S., Gr.2, Schweppervescence Trophy, Gr.3, WATC Starstruck Classic, L, Carbine Club of WA S., L.
MISS MARIELLE (04f, Don't Say Halo, Zabaleta). 6 wins-1 at 2-from 1000m to 2000m, A$545,200, STC Hill S., Gr.2, AJC Craven P., Gr.3, VRC Express S., L, MVRC Alexandra S., L, MRC Pure Blonde P., MVRC Dual Choice 2YO P., 2d AJC Chelmsford S., Gr.2, Moonee Valley Fillies Oaks Classic, Gr.2, AJC Toy Show H., L, 3d AJC North Sydney Orthopaedic H.
DELZAO (00c, Alzao, Storm Ruler). 6 wins from 1000m to 1600m, A$1,140,070, MVRC John F Feehan S., Gr.2, VRC Poseidon S., L, MRC Tupperware Cup, L, Hymettus H., Beau Sovereign H., 2d AJC Queen Elizabeth S., Gr.1, VRC Australian Cup, Gr.1, MRC Autumn Classic, Gr.2, 3d Australian Derby, Gr.1, MRC Underwood S., Gr.1, Memsie S., Gr.2, Sandown Guineas, Gr.2, STC Tulloch S., Gr.2, 4th VRC Australian Guineas, Gr.1, MRC Autumn S., Gr.3. MERLENE DE LAGO (05f, Danehill, Luskin Star). 4 wins-3 at 2-to 1200m, R612,125, Turffontein South African Fillies Nursery, Gr.2, Pretty Polly S., Gr.3, Ruffian S., L, Vaal Racing Association Progress P., 2d Scottsville South African Fillies Sprint S., Gr.1, 3d Clairwood Winter Solstice H., Turffontein Reichmans Capital Finance S.
LAURA'S CHARM (01f, Prego, Habitat). 10 wins-3 at 2-from 1200m to 1600m, A$645,750, MVRC Sunline S., Gr.2, VRC Schweppervescence Trophy, Gr.3, MVRC Paula's Choice H., MRC Thomas North H., Bint Marscay 2YO H., Geoffrey Bellmaine 2YO H., Journal H., Hussonet H., Countess Marizza H., Archie Yuille 2YO H., 2d MVRC Sunline S., Gr.2, MRC Anniversary Vase, L, VRC Dover P., Riverside H., MRC Forest Hill Chase Fashions on the Field H., Bill Collins H., 3d VRC Gwymm H., MRC Westpac Bank H., Siren Song H.
OUR SMOKING JOE (00g, Blazing Sword, Taj Rossi). 10 wins from 1200m to 2500m, A$1,640,600, MRC St George S., Gr.2, VRC Queen Elizabeth S., Gr.3, Today Tonight Welter H., Keith Greig H., MVRC Omega Smeg H., Mornington RC Peninsula Cup, MRC September H., Future H., Clive Leonard H., 2d VRC LKS Mackinnon S., Gr.1, Turnbull S., Gr.1, STC Ranvet Rawson S., Gr.1, MRC Underwood S., Gr.1, JJ Liston S., Gr.2, VRC Chubb S., L, MRC Schweppervescence Cup, L, Warrnambool Cup, L, VRC Shamrock Travel H., MVRC Avalon Mcintyre Park Cattery H., 3d STC BMW S., Gr.1, VRC Australian Cup, Gr.1, Craiglee S., Gr.2, MRC JJ Liston S., Gr.2, VRC RSL P., 4th VRC LKS Mackinnon S., Gr.1, AJC Chipping Norton S., Gr.1, STC Ranvet S., Gr.1, VRC Craiglee S., Gr.2. RIVA DE LAGO (07g, Ashkalani, Blazing Saddles). 9 wins to 1400m, A$730,130, ATC Theo Marks S., Gr.2, SCTC Glasshouse H., L, BRC Cardno H., Scone RC Yarraman Park Horsepower H., ATC Rosehill Gardens H., Kari Aboriginal Resources H., Better Bet With a Bookie H., Vincents Forensic Accounting H., 2d ATC Ajax S., Gr.2, Liverpool City Cup, Gr.3, Scone RC Luskin Star S., L, BRC Hamilton Hotel H., ATC Blackwoods Loctite H., 3d ATC Razor Sharp H., L, City Tattersalls Club H., BRC Salmat H., ATC Jacob's Creek Moscato H., Brickmakers Creek H., 4th ATC Maurice McCarten S., L, Ipswich TC Eye Liner S., L.
HANKS (06g, Seattle Slew, Secretariat). 6 wins-1 at 2-from 1300m to 3000m, A$377,546, MVRC AAMI Vase, Gr.2, Moonee Valley Night Cup, L, MRC Winslow Constructors H., Golden Doubles H., MVRC Hafele Australia H., 2d Werribee Cup, L, 4th MRC D'Urban S., Gr.2, VRC Super Impose S., L.
SOVEREIGN NATION (12g, Last Tycoon, Sovereign Red). 5 wins from 1000m to 1600m to 2017-18, A$643,200, MVRC Bill Stutt S., Gr.2, VRC March S., L, Lloyd Williams Hall of Fame H., Graeme McMenamin H., 2d MRC Toorak H., Gr.1, Sunshine Coast Cup, L, VRC Australian Trainers' Association H., Lavazza Prontissimo H., MRC Ladbrokes Up for the Challenge H., 3d VRC Winter Championship Final H., L, MRC Movenpick Ice Cream H., 4th MRC Caulfield Guineas, Gr.1, Sir Rupert Clarke S., Gr.1, ATC Tulloch S., Gr.2. PALACIO DE CRISTAL (05f, Palace Music, Zephyr Bay). 5 wins from 1300m to 1700m, A$469,200, AJC Villiers S., Gr.2, VRC Rose of Kingston S., Gr.2, Moet & Chandon S., AJC La Neige P., Hall Chadwick Accountants H., 3d STC Coolmore Classic, Gr.1, Apollo S., Gr.2, 4th ATC Queen of the Turf S., Gr.1, STC George Ryder S., Gr.1, SAJC Auraria S., Gr.3, Illawarra TC Keith F Nolan Classic, L.
VOCABULARY (99f, Marauding, Recitation). 5 wins to 1400m, A$486,700, MVRC Norman Carlyon S., Gr.2, VRC Rose of Kingston S., Gr.3, MVRC Schweppes H., Jenny Hoo Fashion Luncheon H., 2d MRC Futurity S., Gr.1, CF Orr S., Gr.1, MVRC John F Feehan S., Gr.2, MRC JJ Liston S., Gr.2, 3d MVRC Valuebet H., 4th MRC Bletchingly S., Gr.3. MISS FANTABULOUS (03f, Splendent, Steel Pulse). 4 wins at 1100m, 1400m, A$315,650, MRC Tristarc S., Gr.2, SAJC Redelva S., L, VRC Devil Wears Prada H., MRC Redoute's Choice P., 2d VRC Zouki Enterprise 2YO P., 3d AJC PJ Bell H., L, MRC Winning Edge Presentations Cup, 4th VRC Carbine Club S., Gr.3, AJC James HB Carr S., L, MRC JRA S., L.
RUBICK (11c, Rock of Gibraltar, Canny Lad). 3 wins-2 at 2-at 1000m, 1100m, A$379,500, MRC Schillaci S., Gr.2, Blue Diamond Prelude (c&g), Gr.3, ATC TAB Iphone App 2YO P., 3d ATC Challenge S., Gr.2, 4th MRC Blue Diamond S., Gr.1. PRE EMINENCE (05g, Silver Hawk, Star de Naskra). 3 wins at 1600m, 2000m, A$400,775, MVRC Alister Clark S., Gr.2, MRC Norman Robinson S., Gr.3, 2d MRC New Litho P., 3d Victoria Derby, Gr.1, MVRC Programmed Property Services H., 4th MRC Autumn Classic, Gr.2. BROM FELINITY (01f, El Qahira, Sir Godfrey). 3 wins at 1000m, 2000m, A$547,100, VRC Matriarch S., Gr.2, Werribee Cup, L, 2d MVRC WH Stocks S., Gr.2, MRC Shirley Evans H., So Called H., Florence H., Geelong RC Briseis Gold Cup, MRC Coal Pak H., 3d VRC Schweppervescence Trophy, Gr.3, MRC Mannerism S., Gr.3, VRC Chester Manifold S., L, MRC Summoned S., L, Victorian Wakeful Club P., MVRC Night Racing Christmas Parties H., 4th VRC Myer Classic, Gr.1, Matriarch S., Gr.2, MVRC JRA Cup, L.
PRESS THE BUTTON (04f, Thunder Gulch, Red Anchor). 2 wins at 2, A$348,700, STC Reisling Slipper Trial S., Gr.2, MRC Merson Cooper S., L, 4th VRC Desirable S., L.
DE LAGO MIST (03f, Southern Appeal, Plush). 2 wins at 2, A$371,875, VRC Sires' Produce S., Gr.2, SAJC Breeders' S., Gr.3, 3d Moonee Valley Fillies Oaks Classic, Gr.2, SAJC Showie's Boutique H., 4th AJC Sires' Produce S., Gr.1, Champagne S., Gr.1, VRC AV Kewney S., Gr.2, Newcastle JC Spring S., Gr.3, MRC Quezette S., L.
COUNT ENCOSTA (06g, Sovereign Red, Cerreto). 6 wins from 1400m to 2050m, A$449,145, STC Tulloch S., Gr.2, AJC Rosedale Park H., Bronte H., MVRC SAJ Fruit Supply H., 2d MVRC Craig Opie Cup, BRC Rice Naughton Buckley H., VRC Betty Moran & Gregory Nugent H., AJC Soho Square H., MVRC Advanced Mailing Solution H., 3d ATC Summer Cup, Gr.3, BRC Chairman's H., Gr.3, ATC Christmas Cup, L, BRC Little Fish Swim School Quality H., Goa Get Noticed H., Qld Tatt's RC Celebration Season H., BRC Hidden Dragon at Lyndhurst H., SAJC William Hill H., Happy 95th Peggy McKinnon H., 4th AJC Metropolitan H., Gr.1, ATC Chairman's H., Gr.2, BRC Queen's Cup, Gr.3, ATC Frank Underwood Cup, L, Cranbourne Cup, L.
LARGO LAD (04g, Danehill, Marscay). 6 wins from 1200m to 1600m, A$618,963, VRC Blamey S., Gr.2, The Sofitel H., Antler Luggage H., MVRC Mystery 6 Goes Off H., MRC Leopardstown H., 2d WATC CB Cox S., Gr.2, VRC Scalzo Food Industries H., 3d WATC Perth Cup, Gr.2, 4th AJC Doncaster H., Gr.1, STC Rosehill Guineas, Gr.1, MRC Perri Cutten Cup, Gr.2, VRC Saab H., Gr.3. DAN DE LAGO (05c, Danehill, Yeats). 5 wins from 1400m to 2400m, R689,325, Clairwood Gold Circle Derby, Gr.2, Turffontein Racing Association H., 2d Greyville Daily News 2000 S., Gr.1, 3d Turffontein London News S., Gr.3. DREAM THE DREAM (02f, Islero, Lord of the Dance). 5 wins from 1300m to 2650m, A$153,350, South Australian Oaks, Gr.2, VRC Patrobas H., 2d MRC Greater Dandenong Chamber of Commerce H.
SAFWAN (06c, Lord Ballina, Balmerino). 4 wins from 1600m to 2000m, R420,150, Greyville Betting World 1900, Gr.2, Clairwood New All to Come Bet H., 2d Clairwood Pandu Paper Products Umthombothi S., Mercury Wine Week S., 3d Turffontein Colorado King S., Gr.2, 4th Greyville King's Cup, Gr.3, Scottsville Sledgehammer H., L.
POLISH KNIGHT (08g, Polish Precedent, Warning). 2 wins at 1400m, 2000m, A$439,125, ATC Tulloch S., Gr.2, 2d Australian Derby, Gr.1, 4th ATC Colin Stephen H., Gr.3. NIAGARA (08c, Fusaichi Pegasus, Danehill). 2 wins at 1500m, 1550m, A$238,580, ATC Ajax S., Gr.2, Teachers Eyecare H., 2d MRC Sandown Guineas, Gr.2, ATC Eskimo Prince H., L, Tyreel Stud 2YO H., 3d MRC Norman Robinson S., Gr.3. ROCHA (05f, Danehill, Grosvenor). Winner at 2000m, A$238,150, VRC Wakeful S., Gr.2, 2d AJC Alm H., MVRC Essendon Mazda H., 3d AJC Surround S., Gr.2. VON COSTA DE HERO (05c, Scenic, Brave Salute). Winner at 2, A$1,124,450, VRC Sires' Produce S., Gr.2, 2d STC Golden Slipper S., Gr.1, VRC Australian Guineas, Gr.1, 3d MRC Caulfield Guineas, Gr.1, MVRC Norman Carlyon S., Gr.2, MRC Caulfield Guineas Prelude, Gr.3, 4th VRC Coolmore Stud S., Gr.1, MRC Blue Diamond Prelude (c&g), Gr.3. BROCKMAN'S LASS (02f, Final Card, Buoy). 7 wins-1 at 2-from 1000m to 1800m, A$540,725, SAJC RA Lee S., Gr.3, VRC John West the Best S., L, MVRC Alexandra S., L, SAJC Port Adelaide Guineas, L, MVRC ATM Solutions H., MRC Bint Marscay 2YO H., 2d MVRC WH Stocks S., Gr.2, Silver Jubilee S., L, 3d MVRC Sunline S., Gr.2, VRC Schweppervescence Trophy, Gr.3, Matron S., Gr.3, Henry Buck's Best Dressed H., MRC Martha Cove Cup H.
CHONG TONG (98g, Zoffany, Wilkes). 6 wins-2 at 2-to 1400m, A$508,830, VRC L'Oreal Paris P., Gr.3, Bobbie Lewis H., Gr.3, MRC Sandown S., Gr.3, VRC Sutcliffe S., L, Flying Spur 2YO H., BTC Merry Christmas 2YO H., 2d VATC Robert Hunter H., SAJC Distinctive Lifestyle Flying H., VRC Mitsubishi Motors H., 3d VRC Lightning S., Gr.1, Red Tempo H., 4th VRC Newmarket H., Gr.1, Emirates Classic S., Gr.2. TAGUS (04g, Last Tycoon, Kenmare). 10 wins from 1300m to 1800m, A$551,080, NSW Tatt's RC Tramway H., Gr.3, VRC Bundaberg Distilling Company S., L, SAJC City of Adelaide H., L, STC Protect the Hunter Valley H., AJC Jim Beam H., STC Golden Slipper Festival on Sale H., Spring Valley Smart Water H., Freeway Republic Beer H., 2d STC Caravan & Camping Supershow H., 3d SAJC RA Lee S., Gr.3, BRC Lord Mayor's Cup, Gr.3, ATC Hall Mark S., L, BRC Bernborough H., L, Scone Cup, L, MRC Harrolds Fashion P., STC Inghams Love'em H., Sale Cup, 4th BTC Doomben Classic, Gr.3. BESAME MUCHO (00f, Bellotto, Explodent). 6 wins at 1200m, 1400m, A$311,350, STC Research S., Gr.3, AJC Nivison H., L, PJ Bell H., L, QTC QRSE Greenslopes Hospital Pharmacy P.H., AJC Silver Saddle Brasserie H., STC Cleo Ladies Day P., 2d AJC James HB Carr S., L.
GOLD LOTTEY (98f, Bellotto, Explodent). 6 wins-1 at 2-from 1000m to 2000m, A$565,425, VRC Vanity S., Gr.3, MVRC WH Stocks S., Gr.3, AJC Wiggle H., L, VATC Foster's Light Ice H., 2d VRC Wakeful S., Gr.2, Gosford RC Belle of the Turf S., L, 3d South Australian Oaks, Gr.1, VRC AV Kewney S., Gr.2, Moonee Valley Oaks, Gr.2, STC Research S., Gr.3, VRC Lady Mayoress' P., L, Inglis Premier H., Super Impose H., Nouvelle Star 2YO H., 4th MRC Naturalism S., L.
PRECIOUS LORRAINE (07f, Danehill, Canny Lad). 3 wins-2 at 2-at 1600m, 2400m, A$247,750, South Australia Fillies Classic, Gr.3, VRC Gibson Carmichael S., L, SAJC Oaklands P., L, 3d SAJC Panasonic Viera 2YO H., 4th MVRC AAMI Vase, Gr.2, SAJC Auraria S., Gr.3. TAN TAT DE LAGO (04f, Umatilla, Command Module). 6 wins-4 at 2-from 1100m to 1600m, A$447,900, VRC Danehill S., Gr.3, QTC Brisbane P., L, MVRC Betstar 2YO H., VRC Better Draw 2YO H., MRC Ken Hilton 2YO H., 2d VRC Matriarch S., Gr.2, MRC Tristarc S., Gr.2, 3d VRC Moomba P., L, 4th Queensland Guineas, Gr.2, MRC Thousand Guineas Prelude, Gr.3, Gold Coast Guineas, Gr.3. CAHUITA (00g, King Tobias, Royal Echo). 6 wins-2 at 2-from 1000m to 1600m, A$427,900, MRC HDF McNeil S., Gr.3, SAJC Adelaide Guineas, Gr.3, VRC Mitsubishi Diamond Welter H., MRC May Sprint, VRC Brian Dixon 2YO H., MVRC John d'Arcy 2YO H., 3d AJC South Pacific Classic, Gr.3, VRC Straight Six H., L, Winter Championship Heat 4, Murray Cox 2YO H., MVRC Family Carnival Night H., 4th VRC Debonair S., Gr.3, MRC Moonga S., Gr.3. His sire sons include Northern Meteor (24), Manhattan Rain (13), Delago Brom (5), Road to Rock, Needs Further, Niagara, Von Costa de Hero, Lago Delight, Bramshaw, Rubick, Tuscanos, Echoes of Heaven, Maschino, etc. His 2017 yearlings have already sold to $360,000.